Our dog friendly features include a learning vibration system that vibrates before any correction, which means a fast learning curve with less stimulation. The conductive plastic contact points are less intrusive on your dog's skin, and are attached to a reduced size receiver, made to fit dogs of a variety of sizes. Don't give up, and teach your dog to control barking. World's First Conductive Plastic Contacts Our contact points are made of a conductive plastic and shaped ergonomically to your dog's skin. The only alternative for sensitive skin or for dogs allergic to steel contacts. Detachable Collar Strap The iQ's Detachable Collar Strap makes cleaning and customizing a breeze. Our straps are made of a high quality plastic that is durable with just the right amount of flex. Fully Waterproof Rinsing or submerging the iQ No Bark Collar under water with some mild soap is not a problem since the collar strap and the receiver unit is fully waterproof. Learning Vibration System The iQ Learning Vibration System gives a vibration warning before any correction, making it an effective bark deterrent with less stimulation used over time. Pet Stuff Warehouse offers online pet supplies, online cat supplies and other online dog supplies. Pet Stuff Warehouse has pet containment supplies for cats and dogs, including cat crates, dog crates and pet cages. We are your pet supplies store for quality Perimeter Dog Fences or Petsafe electronic dog fences and cat fences. Our online dog supplies store offers dog containment systems, both underground pet fences and the wireless dog fence. We have a great assortment of collars: designer, leather, as well as dog shock collars and bark collars. For all of your pet supply needs please consider us. We are online and easy to find. Our Online Pet Supplies Store uses full featured shopping technology for your pet supplies shopping convenience and safety. The Pet Stuff Warehouse customer service staff is always ready to assist. Pet Stuff Warehouse dog supplies is your source for electronic dog fences and pet fences. We offer both Perimeter and Petsafe underground pet fences and Petsafe wireless dog fences. The expensive and somewhat ugly chain link dog fences have fallen by the wayside in favor of the new, better electronic dog fences. We feature only the premier manufacturers of electronic pet products: Perimeter, Petsafe, and Innotek. If you are looking for a dog fence system we have the best. Our dog fences can be buried underground or placed on top of the ground with specialized ground staples. The new WiFi Wireless dog fence - It's not wireless, it's Wifi. The wifi dog fence system is the newest technological advancement in the industry, better than the old Petsafe Instant Fence wireless pet fencing system. These new dog containment fences and cat containment systems have shown themselves to be not only effective for pet containment but safe and humane as well. Pioneered by Invisible Fence Company, underground electric dog fence products have evolved over the past 30 years to include advanced pet containment systems like Pet Stop, , Dog Guard, Contain-a-Pet, and Petsafe Pro. At Pet Stuff Warehouse we carry replacement dog fence nylon collars, collar probes and contact posts, and dog fence batteries for all premium brands like Invisible Fence. Our dog fence battery selection is the most complete anywhere, with pet fence batteries to fit most pet containment fence systems. The new Comfort Contacts from Perimeter also fit Invisible Fence, Innotek, Smart Dog, and Petsafe dog fencing collars. We also carry a large number of dog training shock collars from companies like Tritronics, Petsafe, and Numaxes. 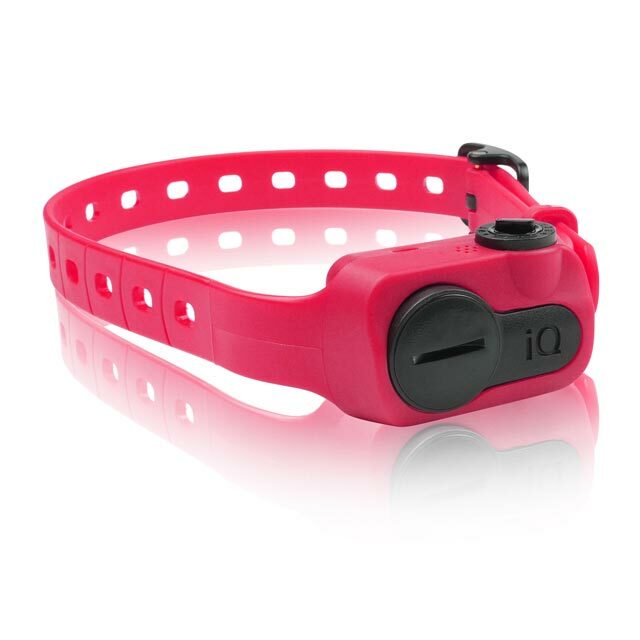 These training collars do not shock a dog but instead provide a safe static correction. In addition to pet training shock collars, we also offer dog bark collars. As with the training collars, bark collars do not shock but also offer a safe static correction. When you purchase your Perimeter dog fences, Petsafe dog fence, or Tritronics shock collar, feel assured that you have the best. Pet Stuff Warehouse has been eBay's leader in safe and effective electric pet products for the past six years with our eBay store Pet Fence Pros. We offer more containment dog fences, dog containment systems, and dog fence installation products for your pet than any other online pet supplies retailer. If you need a pet fence, we have it. All fences, training collars, bark collars, and shock collars use radio signals as opposed to ugly chain link. Remember no shock, just a static correction. The fact that there is no shock is important. Some feel that there is a shock or a strong shock, but this is not the case. On a dog fence, bark collar, or dog fences and training systems you can adjust the level of shock (static stim) correction. Thanks for visiting us here at the Pet Stuff Warehouse! Here you will find all the products you need for your pets. We have the safest Dog Fence Systems on the market, including the WiFi wireless dog fence; also Replacement parts from dog fence batteries to dog collar straps to wire and training flags for all of your Pet Fencing needs. We also have Remote Trainers, Bark Control Collars, Pet Doors, Kennel Crates, Pet Beds, Tie Outs, Tracking Collars, and a whole lot more. Our complete dog fence battery selection for Invisible Fence, , Petsafe, Perimeter Technologies, Innotek, and Dog Guard brand pet containment systems is the best on the internet, just like our unique hidden electric pet fencing collars and collar probes. For independent service on Invisible Fence systems in NJ (hiddenfence.com), in Lee county AL (alabamapetfence.com), in the Metro Atlanta GA area (petstopmetroatlanta.com). For experienced service on Insivible Fence and dog fence service in Birmingham, Tuscaloosa, Anniston, Gadsden, Hoover, Mountain Brook, or anywhere in Jefferson or Shelby county, Alabama, visit Alabama's Pet Fence Experts. All brand names are the registered trademarks of their respective owners. Pet Fence Pros® and Pet Stuff Warehouse™ are registered trademarks of Alabama Dog Fence, Inc. Leather Brothers® and OmniPet® are registered trademarks of Leather Brothers, Inc. Invisible Fence®, Invisible Fencing®, Petsafe®, Radio Fence®, Safe Dog®, Powercap®, Invisible Mask®, Invisible Gate®, Invisible Power®, Off Limits®, Pet Keeper®, Shields®, ProLite™, R21®, R51®, A12®, MicroLite™, and Computer Collar® are registered trademarks of Radio Systems Corporation. Dog Guard® is a registered trademark of Sunward Electronics, Inc. ®, SafeLink™, BigLeash™, and Pet Friendly™ are registered trademarks of , Inc. PET STOP®, Safer By Design™, SmartReceiver®, UltraElite®, UltraMax®, WiFi Fence™, Wire-Free™, SmartStation™, and PetLink™ are registered trademarks of Perimeter Technologies, Inc.